the on-going controversy over when our schools should be allowed to begin classes for the fall (during the fair or after? It’s not as simple an argument as it seems!). and, being the foodie that I am, I want to try EVERYTHING! But I cannot afford (financially and stomach-ally) to try more than two or three things (okay, maybe four if my husband and I can agree on a couple to share). I wish the-state-fair-powers-that-be would come up with a way for sampling food. You give me the opportunity to pay $25 dollars to sample 10 items, and I am there! One of the long-standing favorites of the Iowa State Fair is the grilled turkey leg. The grill itself is a sight to behold, but it is the aroma that draws you to it! Years ago (enough years that I honestly cannot remember its source) I received a recipe for a “State Fair Turkey Marinade”. I have always used it to marinate turkey breast fillets and it is amazing! 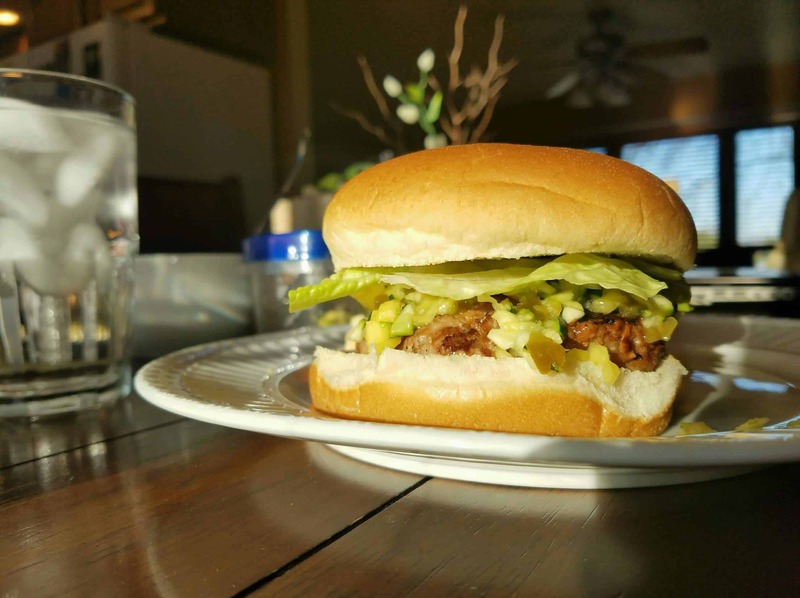 As I am incorporating more ground turkey into our diet, the idea of State Fair Turkey Burgers became reality. Combine first seven ingredients in a small bowl. In a larger bowl, combine onion, egg and turkey; add marinade and fold together until marinade is well distributed. Form six patties (this mixture will be stickier than ground beef and you will have to handle the patties carefully). Prepare and preheat grill (350-400 degrees). 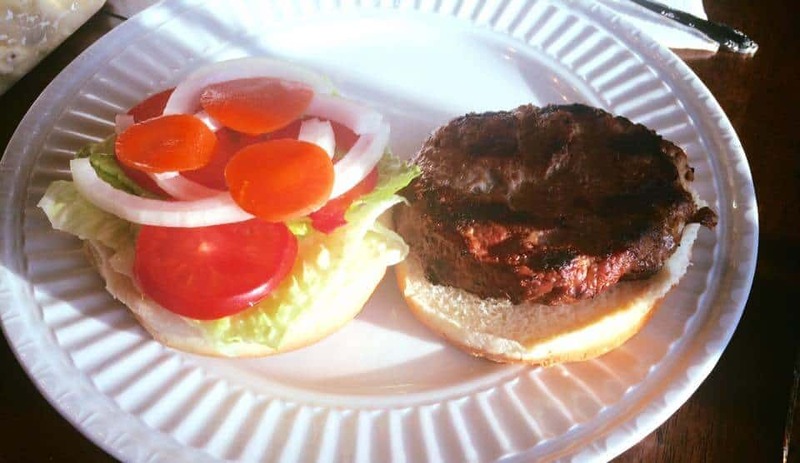 Spray both sides of patties with cooking spray (or apply a light coating of oil) and place on the grill (be careful of possible flame flare-ups). Do not rearrange the patties. 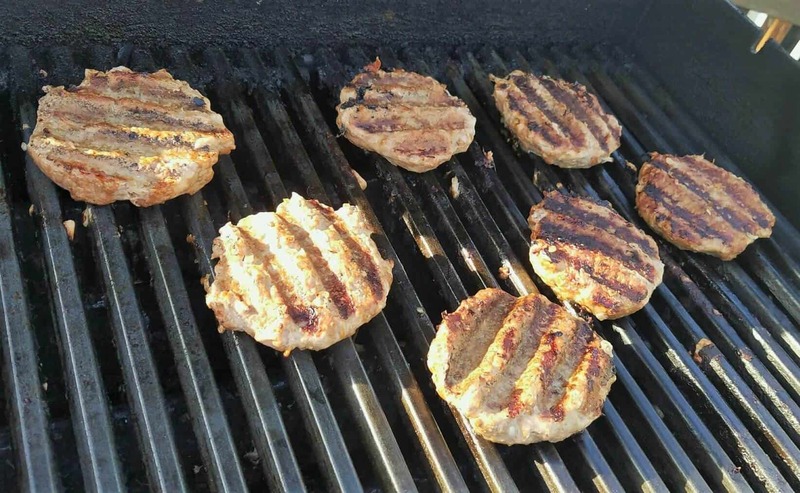 When you can see the patties starting to “pull away” from the grill, the patties will hold together enough to be flipped. Continue grilling until internal temperature reaches 165 degrees. How you top your burger is up to you: lettuce, tomato, onion, cabbage, coleslaw, kimchi, pickled veggies, bacon, goat cheese, jalapenos?